parsley, chives, sorrel, borage, cress, chervil, burnet or any other similar herbs. Blend herbs, mustard, vinegar, sugar and sour cream in the blender – ideally you want a good consistency of green herbs to produce a green colour. Leave in the fridge for at least two hours. 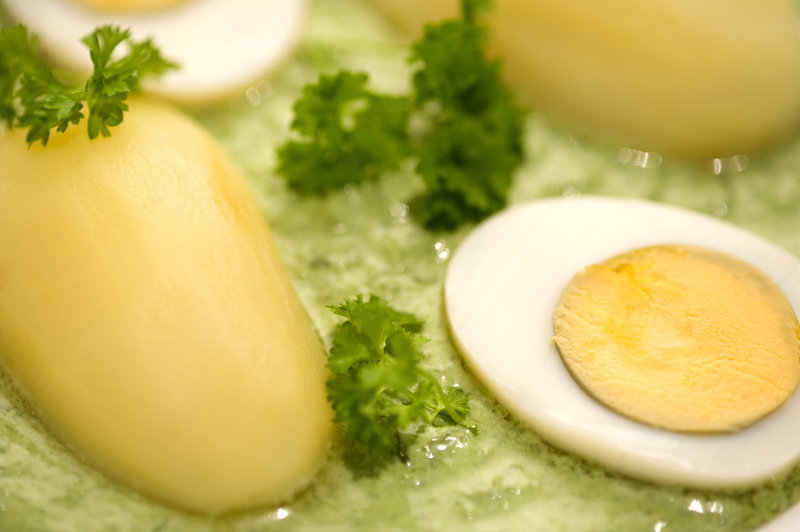 Serve with potatoes if desired – garnish with fresh herbs. Please note the image used is a visual interpretation of what could be made but wasn’t made with the specific recipe.